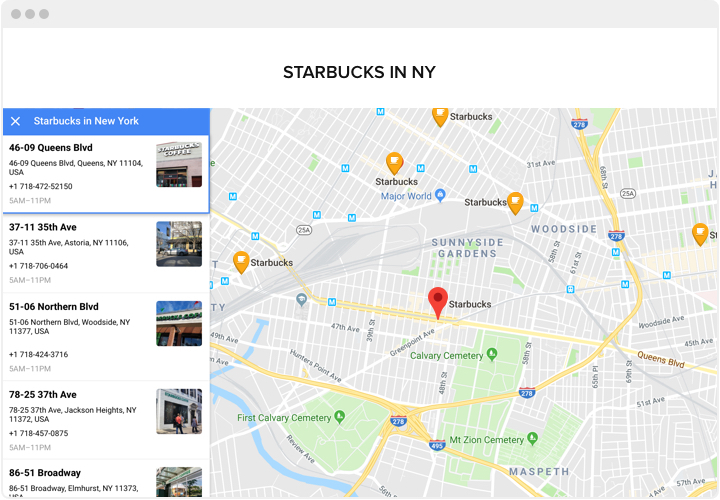 A no-sweat configuration, universal and entirely custom widget makes it easy to find locations for your customers. 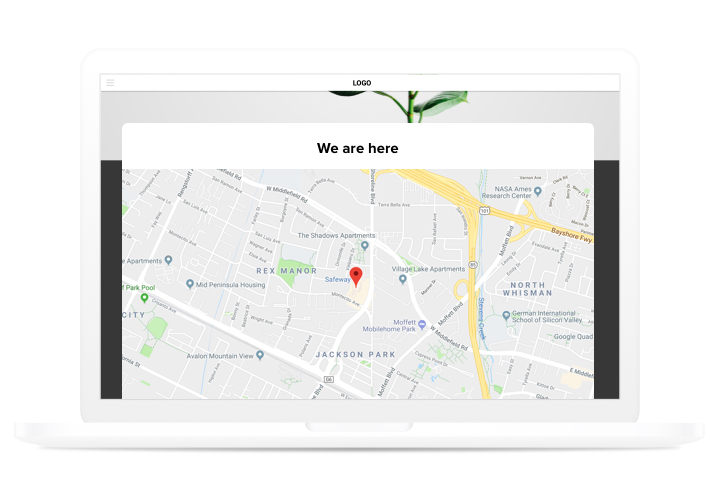 Productive in attracting offline customers, easy in setup and configuring make it is one of the best widget for your HTML site.Shape more off-line customers using interactive maps on your site! More orders from clients of your site. 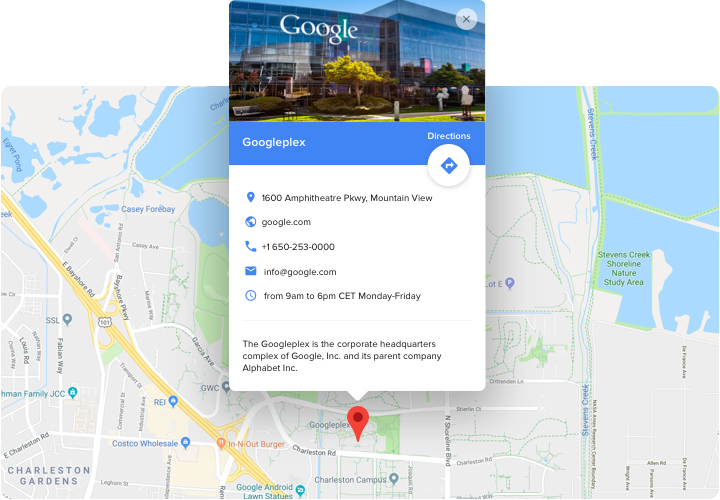 Place comprehensive contact information (address, phone, and messenger, operating and so on), so your possible customers could contact you by any desired for them means. Find and get local clients. 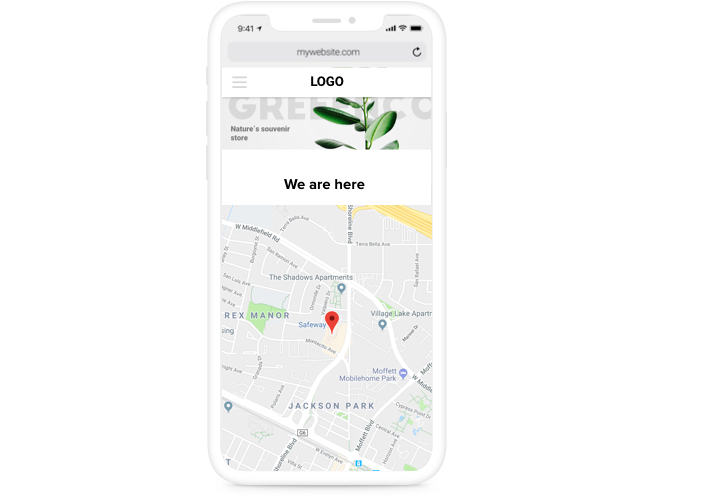 Display your coordinates to make customers understand, that you are close and they can quickly make their way to you shop. Automatic route calculation to your place. Don’t let clients get away from your site when they are intended to address you. Show the way to your location directly on the map for each client! What functions turn our map into the best one for every HTML website? See full list of traits in the panel! 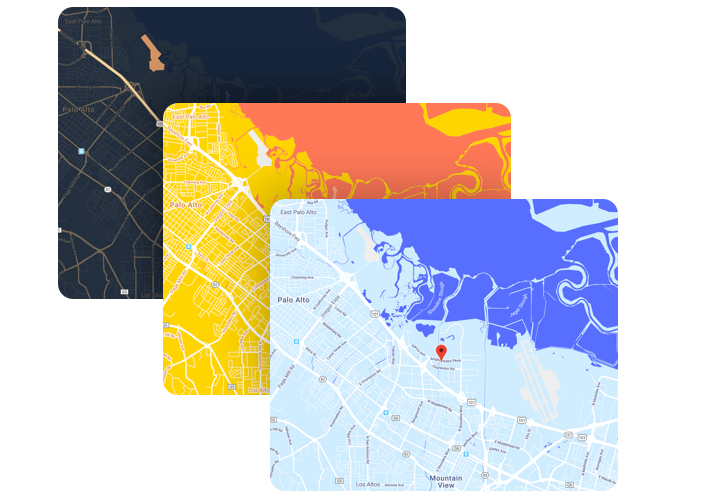 A concise guide on creating responsive maps on HTML on your own. For this, you don’t need to invite a programmer or personally have knowledge in coding. Total setup duration is only several minutes. 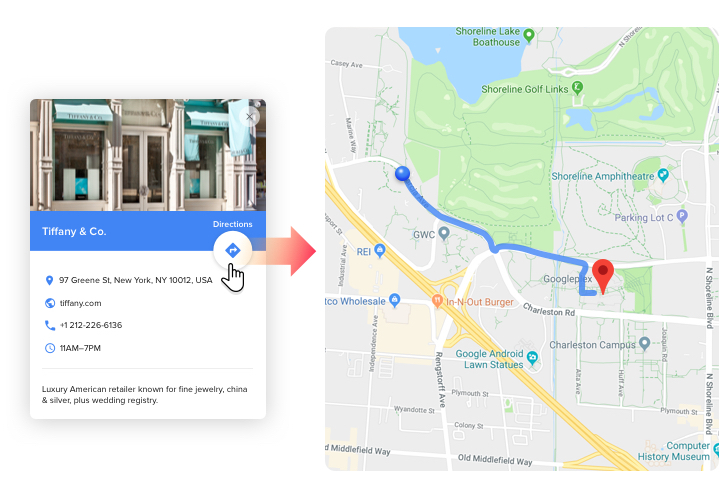 Build your personalized Google maps. Using our free demo, assemble a plugin with preferred design and functions. Acquire a code for integrating the plugin. After widget tuning, receive a code for Map plugin from the popup window on Elfsight Apps. Insert the widget into the HTML website. Start the page code in the HTML editor, integrate the widget into the desired place (content, footer, sidebar etc), and publish the edits. You successfully performed the installation. Open the HTML site, to see your plugin. Experiencing hardships or problems while setting up a personal map? Read comprehensive manual «How to Install a map on HTML website» or contact Elfsight support center and we will be pleased to support you in creating and adding maps on your website. Construct the best Map widget for free!